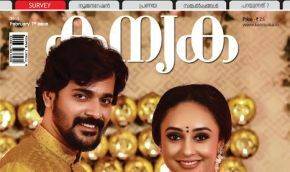 Buy (Order online) Grehlakshmi Monthly Magazine (Magasin) Now. 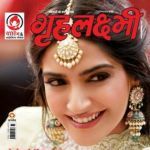 Grahlaxmi is the fastest growing women’s monthly in Hindi and it perfectly fits into the framework of a contemporary woman’s complete magazine under the flagship of Diamond Magazine Pvt Ltd, New Delhi. Our magazine is a right mix of content for all age groups of women. With articles ranging from sensitive issues to fun frolic and the latest in Bollywood, it offers content for all to read. 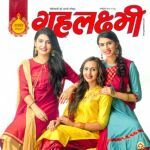 Our columns on Women social awareness, Money matters, Career, Teen Funda, and Celebrity Couple are amongst few which are extremely popular with the younger genre of readers. Other interesting columns include articles on Beauty, Cookery, Humour and of course stories, to name a few. Our magazine is a collection of rich comprehensive diverse content. Though we have a wellequipped team of journalists with us, we get varied and specific inputs from the leaders in each category. Our panel of celebrities includes names like Saakshi Tanwar (who contributes to our Grehlakshmi Cares column), Apra Mehta, advises our reader on family matters. We have Sanjeev Kapoor’s Khana Khazana, Ashok Chakradhar’s humour. Apart from this we have well known names like Shahnaz Hussain, Blossom Kochar, Sanjay Chugh, Dr.Sunny Bakshi, Vimla Patil, Neeta Raheja, Javed Habib, Chaitanya Kirti, Dr. Kiran Bedi, Neeta Mehta, Manish Arora, Aparna Chandra, Dr. Shyama Choma and Vandana Luthra, who are also a part of our panel. Grehlakshmi Monthly Magazine prices are inclusive of shipping and handling through USPS. (for US deliveries). For other Countries shipping will be handled through their Postal Services (like Airmail in India). Address for delivery (Subscription) can be changed anytime. Please mail us the changed address details to info@magazinesemporium.com. Grehlakshmi Monthly Magazine subscriptions will commence either from current issue or from next coming issue. 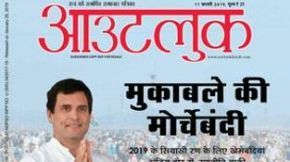 Grehlakshmi maheene ke Hindi Magazine will be shipped immediately on getting the issues from the publisher. They are inclusive of Diwali and Annual issues. Any special issues will also be sent free.